There are almost eight billion people on Earth and possibly 9 billion ideas of the perfect diet but there is no scientific proof the latest fad diet will work. Food has evolved from a means of survival and metabolising energy into an undefined entity. It comes from all over the globe, in fashionable phases, and innumerable forms and culinary permutations. Our ancestors would be scratching their heads if they came across a multi-coloured quinoa Buddha bowl – although that wouldn't be a bad lunch option. 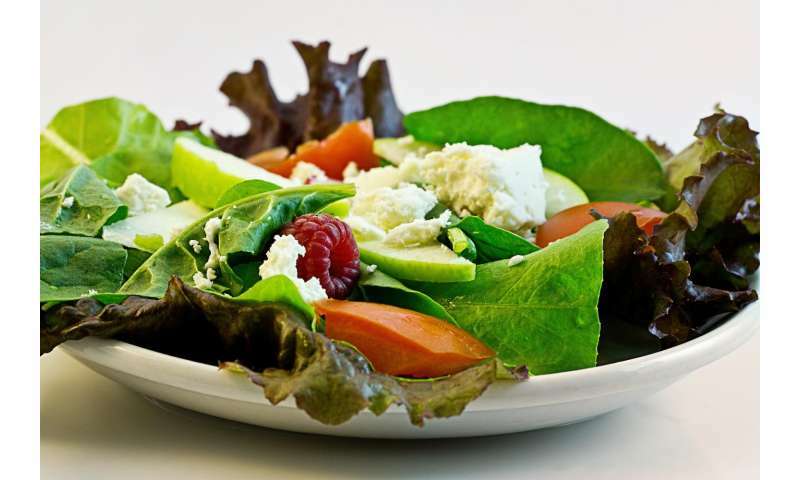 Food as the key to being healthy, slim, satiated and to achieve longevity is even more of a conundrum, but Wits University experts agree – fad diets are not the answer. Intermittent fasting, prehistoric diets, nano-level blood diets, Banting and ketone counting are not only ineffective for long-term health, they may do more harm than good. There is evidence that fad diets may be harmful, and eliminating foods (such as carbs) from a balanced diet can possibly cause apoptosis or cell death. Professor Gavin Norton, Co-Director of the Cardiovascular Pathophysiology and Genomic Research Unit at Wits, says, "I believe very little in fad diets as by their very nature there is no evidence that they save lives. Even more established diets, such as low-salt diets, have never been shown to save lives and more evidence shows that they may in fact kill us. The only diet ever to show benefit is a Mediterranean diet. The safest thing to do is eat a balanced diet with all the nutrients recommended by professional nutritionists who, if trained properly, would never recommend a fad diet to begin with." Dr. Sandra Pretorius, who deals with non-communicable diseases at the Centre for Exercise Science and Sports Medicine at Wits, says human beings should avoid any diet that eliminates or severely restricts entire food groups, such as carbohydrates. "Even if you take a multivitamin, you'll still miss out on some of the crucial macro- and micronutrients or vitamins and minerals," she says. "Also, avoid diets that allow unlimited quantities of any food, such as grapefruit and cabbage soup. It's boring to eat the same thing over and over and hard to stick with monotonous plans." Pretorius adds any diet that excludes exercise is unlikely to work for weight loss. "Given our individual uniqueness there is no universal diet which fits all," says Associate Professor Kennedy Erlwanger from the School of Physiology in the Faculty of Health Sciences at Wits, whose research explores food and nutrition and its impacts on metabolic health. "Generally, one considers diets as a means to accomplishing weight loss, with the target nutrient culprits being fat and sugar or carbohydrates. It is important to note that these are normal dietary requirements, which have specific important roles in our well-being. The various iterations of diets revolve around the source, type, quantity and frequency of intake as well as the quality of these nutrients," he says. Instead, says Erlwanger, focus on the point of nutrition, which is "to produce healthy outcomes which include appropriate growth, disease-free states, physical and emotional well-being". Remembering that some people need specific diets for unique situations, such as post-surgical recovery or muscle building for athletes, Erlwanger says there is a type of diet that should work for most of us to live long, healthy (and hopefully moderately sized) lives. In simple terms, it is the Mediterranean diet – and for no other reason than the science has shown results. "Studies on populations where a larger proportion than that of the rest of the world's population is characterised by longevity, low incidence of metabolic diseases, hypertension and cancers, show that the food consumed is unrefined, plant-based, relatively meat free, high in seeds and nuts – Mediterranean," says Erlwanger. But it isn't just about the food. It is how you consume it and what goes along with the lifestyle. "Familial closeness and physical activity are key components of lifestyle in these healthy populations," he says. And don't forget your gut. Increasingly, the microflora and fauna in the gut has been proven to affect everything from our digestion to mental health. The next step to healthier diets is personalised nutrition says Erlwanger. This is a tailor-made approach "based on physical, biochemical and genetic profiles, amongst other biological factors" and another reason you can't turn to a fad diet, because what may work for a friend, might not work for you. While we may see evidence of weight-loss in those who follow fad diets, and that menus cater more frequently for those who want to leave the buns off a burger, Professor Demitri Constantinou, Director of the Centre for Exercise Science and Sports Medicine says the evidence should be more reliable than "popularity". "People are all different and have different pathology, which may mean they may in fact react differently to similar diets. Very often, fads are driven by popularity and certain industries," says Constantinou. "What we know about good nutrition and diet is that even within the scientific sphere there is a lot of controversy. The American Heart Association removed saturated fats and replaced them with polyunsaturated fats, for instance, but if you look at the evidence, this may not reduce your risk of heart disease. Lots of the advice we see is not evidence-based. In the absence of very obvious choices, like too much sugar being unhealthy, the average person has a problem making decisions because even scientists are not convinced one way or another!" However, Constantinou says that what evidence has showed does lean toward the Mediterranean diet, because it is supported by research. This means moderation, and portions of fruit, vegetables and legumes. "It is largely plant-based meals with a moderate intake of meat, using things like herbs instead of salt. Obviously in the Mediterranean, butter and margarine don't feature, and olive oil is preferred." But at the heart of the matter is that old human conditioning towards the 'quick fix'. Constantinou says he has seen extreme dieting in patients, one who ate only grapes for a week or two. "It's a component of the Mediterranean diet but that is not sensible. It is about desperation. People seek to have something that is going to give them the most benefit the quickest - 'if you do this, this is what is going to happen' - that isn't how it works," he said. "People don't always want to do the right thing to get healthy and fit. We are a generation of immediate satiety. As a whole, the lifestyle should be about diet but also about being physically active. It is the most crucial factor for the prevention of cardiovascular disease. Smoking, the excessive consumption of alcohol and the less tangible influence like the stress hormone add to it. Genetics play a role, but one can influence that to a degree with lifestyle. We can modify the expression of those genes to be healthier, which may not link to weight loss. The feeling is that if you are fat and fit, you are better off than being thin and unfit. Weigh up the odds," says Constantinou.